Model: The Wiko View Go smartphone was unveiled during the 2018 Mobile World Congress. For an entry-level phone in the View Series, the View Go packs quite a punch under its hood. First, let's take a look at its hardware specifications. The View Go runs with a 1.3 GHz MT6739 MediaTek processor. It also has 2 GB of RAM and 16 GB of internal storage. If 16 GB is not enough to store your data, you can expand the storage by up to 128 GB with its microSD card slot. As for the battery, the View Go comes with a generous 3000 mAh battery with 16-hour standby time. The View Go also comes with a fairly large HD+ 5.7" screen with 1440 x 720 resolution. The immersive 18:9 widescreen format display lets you see more on the screen, from binge-watching Netflix videos to scrolling Instagram photos. Even though this is an entry-level phone, the visuals are bright and clear on the sizeable HD+ display. As with the norm with most of the smartphones in the market, the View Go comes with two cameras. The rear camera has a 13 MP sensor, with a 4x digital zoom on an autofocus lens. For the selfie-lovers, View Go's front camera has a 5 MP sensor and a flash for low light conditions. For connectivity, the usual suspects come built-in with the Wiko View Go. The smartphone has the options to run on either the 3G or the 4G network. Other than that, it has a dual SIM slot, Bluetooth 4.2, WiFi, a micro USB port, a 3.5 mm audio out and a microSD card slot. Wiko took a few steps further with the View Go. Not only does the phone runs on the latest Android Oreo, but it also comes with Face Unlock technology, which enables you to access your phone in an instant, a feature that always seemed to be missing from entry-level phones. View Go is also optimized to multitask so you can smoothly run two apps at the same time. Made for users who prefer one-handed use of their phones, the View Go's compact build ensures that the phone is a snug fit in their palm. The View Go's build measures precisely 152.5 x 72.6 x 8.3 mm and weighs only 142 grams. The phone also comes in 3 colors - black, gold, and grey. 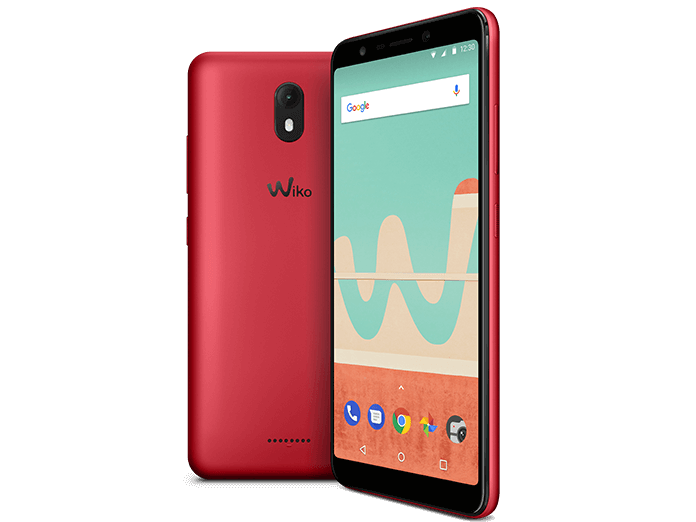 It is easy to see why the online communities rave about this entry-level phone; for its small price, Wiko's View Go is undoubtedly the bang-for-buck choice for many. For a fraction of the price of a mainstream brand's flagship model, you get a decent phone with many of their similar features.